A lot of people tend to be confused as to what feral parrots are and why they live where they live. To clear things up, let’s take a look at the curious case of these birds. Where can you find feral parrots throughout the world? Where can you find feral parrots in the U.S.? Feral parrots are birds which have entered into a foreign ecosystem. This doesn’t mean “parrots that have jumped the border”, but parrots that live in an entirely new location, one different to their native environment. Simply put, feral parrots are typically former domesticated birds that have escaped or have been lost/intentionally set free, and have formed a bird colony in city, town or a rural environment that their species is not typically from. Even though individual parrots are sometimes intentionally released by their owners, feral parrot populations are not intentionally created and are considered an accidental result of all the separate released/escaped birds. Parrots are not the only birds that can become “feral” – feral populations of most domesticated birds can be found in cities and towns across the world. Doves and waterfowl birds are two other examples of domesticated birds that often become feral. It’s also worth mentioning that released/escaped birds and parrots don’t always become feral. In a lot of cases, such birds return to their original owners, fail to adapt to free life, or even if they survive, they fail to establish a colony. Nevertheless, in the past several decades tropical birds and parrots have gone feral and established significant populations in the U.S. and across the rest of the developed world. Put as plain as possible, most major cities. Populations of feral parrots can be found in most countries and cities that have a significant population and reasonable enough climate. Things includes most of the USA, most European countries (particularly the Western European countries), down under in Australia, New Zealand, as well as the Middle East such as Egypt, Israel, Lebanon, UAE, Oman, and others. One of the most common feral parrot species are the Rainbow lorikeets (Trichoglossus haematodus) that have significant populations of feral parrots in Perth, Western Australia and in Auckland, New Zealand. 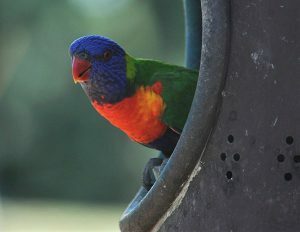 In fact, the Department of Primary Industries and Regional Development in Australia considers the feral Rainbow lorikeets in Perth as pests. 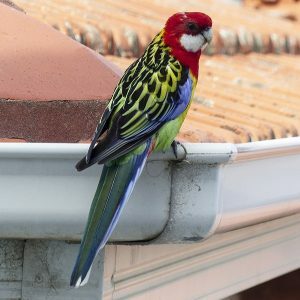 According to NZBirdsOnline, the Eastern rosella (Platycercus eximius) has gone feral and spread rapdily in the Northern island of New Zealand where it is not considered as naturalized. Similarly, Rose-ringed parakeet (Psittacula krameri) has feral colonies all across the globe as it is such a hardy and adaptable species. There are a lot of other examples that can be mentioned, some formed in smaller colonies, while others have become such a serious presence in their new environment that they’ve been considered naturalized. Feral parrots can be found all across the U.S., but the two most significant states to look for them are southern California and south eastern Florida. This is due to the parrot-friendly climates that these two states provide. Additionally, both Miami and Los Angeles are major centers of the pet bird industry in the U.S. and there are a lot of parrot owners in and around these cities. Most parrots in California and Florida come from Latin America and Africa, but there are also a lot of species that come from Asia and Australia as well. 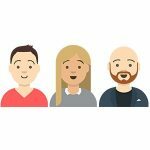 In the USA, you can also find such populations in New York, Chicago, Austin, Tampa, Phoenix, San Diego, San Francisco, and many other bigger and smaller towns and cities. For example, in the video below you can see the many feral parrots that live in Brooklyn, New York today. Other examples from CityParrots.org show parrots living the urban lifestyle in San Diego, California. 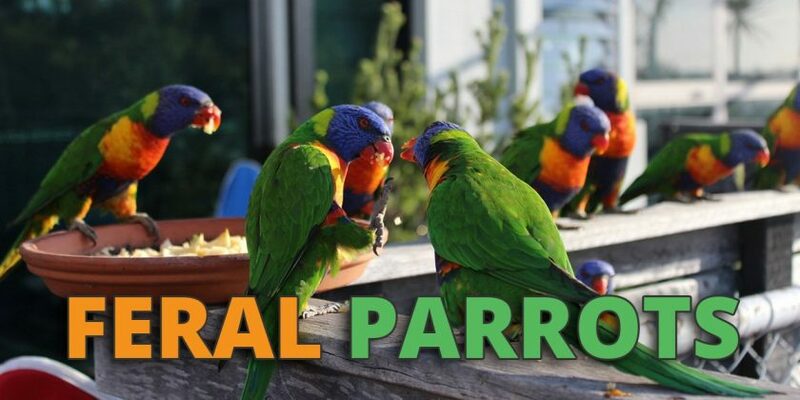 The article goes over not only the ways feral parrots have spread across the region, but the effect they’ve had on it and the other wildlife around San Diego. Simply put – they can be both, depending on the situation. In countries and regions like Australia, where the local fauna and flora are very delicate or where agriculture is a vital component of the economy, then a newly formed species of feral parrots can have a detrimental negative effect. In other places, like most U.S. cities, feral parrots are more of a tourist sight and bring a nice color to the otherwise grey concrete background.